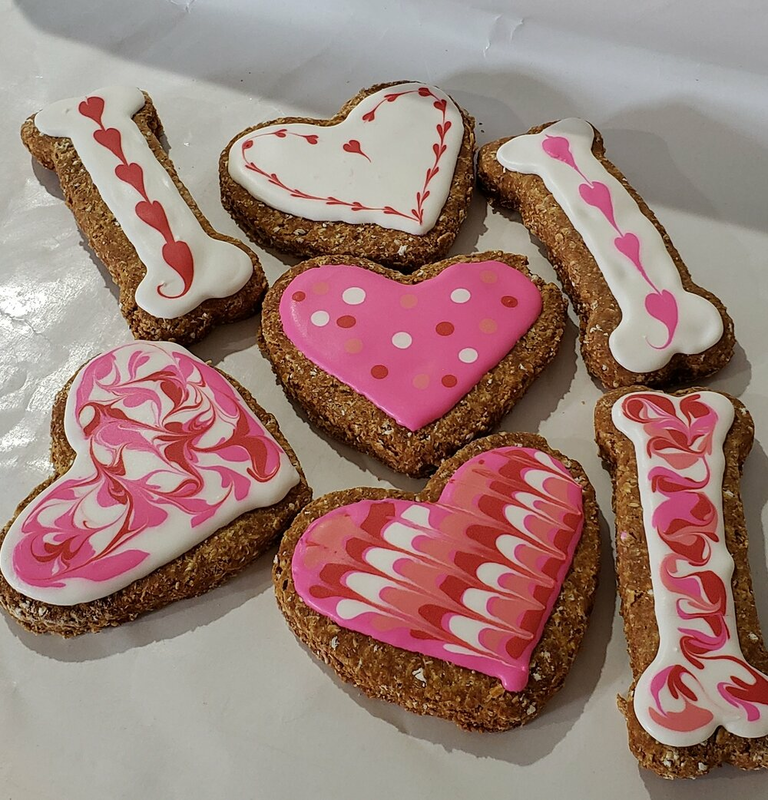 Located in the beautiful, historic village of St. Jacobs, Spoil the Dog Bakery believes serving our pets tasty, healthy, human-grade treats. Our biscuits are simple with limited ingredients to cater to pets with allergies. Established in 2005, our mission is to make the most nutritious, tastiest, hypoallergenic, wheat-free treats. 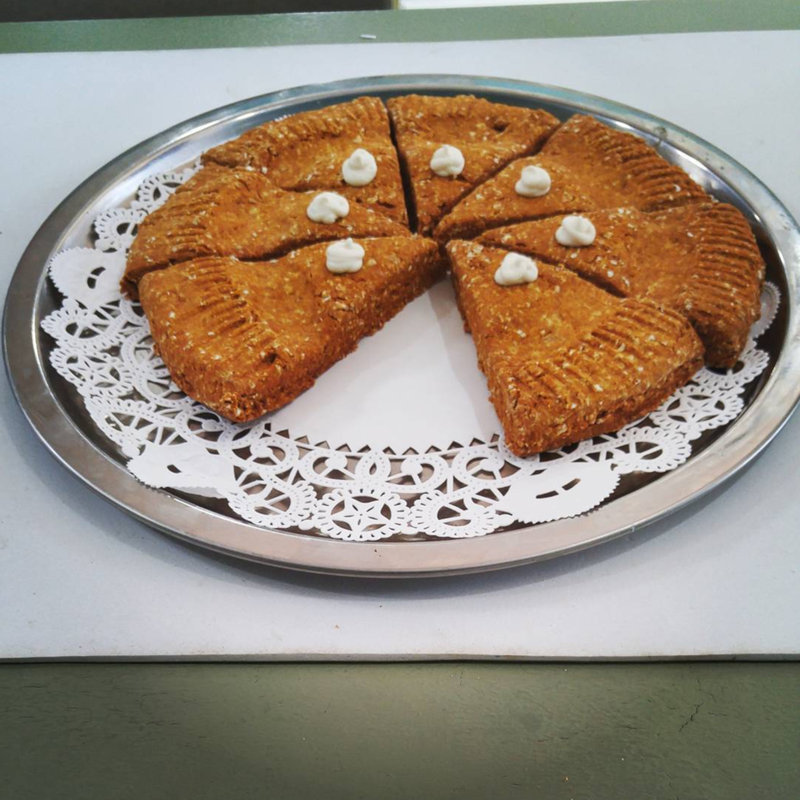 Each biscuit is handmade using only fresh, all-natural market ingredients. We do not add salt, sugar, corn, soy or any preservatives to our products. Our ingredients are extensively researched and weighed for their health benefits. For example, many of our treats use chickpea flour because it is high in protein, dietary fiber and calcium, and low in saturated fats. Our latest organic, grain-free biscuit is handmade with organic coconut flour and we're having a difficult time keeping it on the shelves! All of our treats are wheat-free or grain-free organic, and handmade with love in our St. Jacobs location. Our classic wheat-free biscuits in six delicious flavours as well as a Variety Pack. Easily broken into tiny pieces for small dogs. Our Crunchy Bites are great for large and strong-jawed dogs that like to gulp. These dense, rough-edged bites encourage chewing. Available in four delicious flavours. 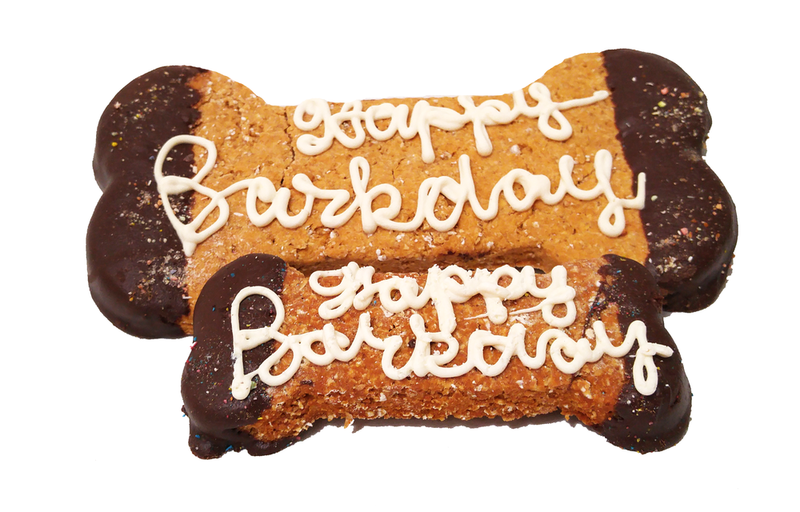 You'll want to sneak a bite of our Barkday treats yourself! Peanut butter flavour, carob and melted yogurt chip icing. 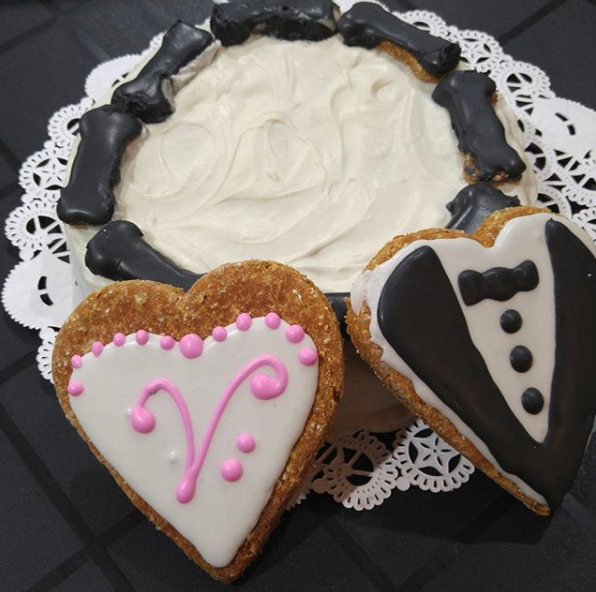 We create treats for every season and special occasion. Check out our Instagram photos! In today's world, so much of what is on the market for animals is chemically enhanced. At Spoil the Dog Bakery, we use only the freshest market products and purchase organic whenever possible. Soy, wheat and corn can be hard for some dogs to digest, and many dogs are allergic. OATS Contain complex carbohydrates, B vitamins, fibre, phosphorous, iron, calcium and selenium. GINGER Natural anti-inflammantory may offer relief from inflamed joints due to arthritis. PARSLEY Source of flavonoids, antioxidants, vitamins, lycopene and carotenes. Natural breath freshener. PUMPKIN Good for both diarrhea and constipation, canned pumpkin (not raw, not the sugary, spicy pie filling) is loaded with fiber and beta-carotene, which the body converts to vitamin A. A teaspoon or two a day is sufficient. TURMERIC A powerful antioxidant that may slow down aging, degeneration and potentially increase lifespan. Can help treat gastrointestinal disorders and help relieve arthritic pain. COCONUT May help fight viruses and boost immune system. Coconut albumin may help in formation of red blood cells and may help clear up skin conditions, flea allergies and itchy skin. CAROB Unlike chocolate, which is toxic to dogs, carob is caffeine-free. It contains protein, fibre, vitamin B1, niacin, vitamin A, vitamin B2, calcium, magnesium, potassium, and the trace minerals iron, manganese, chromium, copper, and nickel. CHICKPEA FLOUR A good source of potassium, phosphorous, iron, folate, copper, magnesium, and rich in unsaturated fatty acids. Also high in calcium, dietary fibre, and low in saturated fat. CINNAMON Anti-inflammatory, may help with arthritis. May boost energy, help circulation and improve health and function. 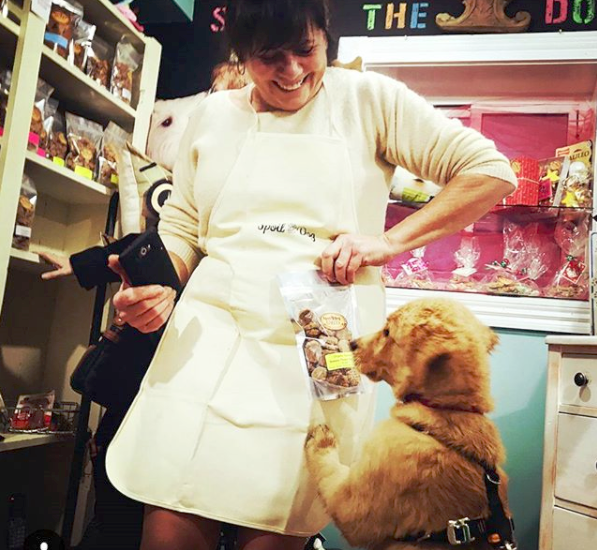 If you would like to carry our products in your store, or can't find the products you'd like at a store near you, please contact us at rachelle@spoilthedogbakery.com. Suite A2, 2865 Lynnhaven Drive, Virginia Beach, Virginia. U.S.A.